The 'silly' season is in full swing and on my very long list of things to do was a set of 'Thank You' cards, so I thought I'd play along for fun and use the beautiful bright colours from JAI's Inspiration Photo Challenge to get me stamping again! 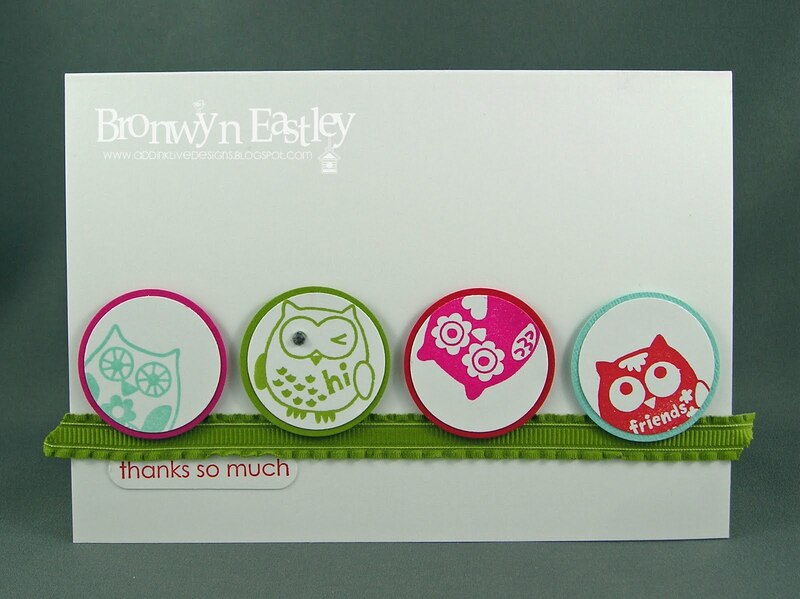 A new set of stamps is also great motivation! I used the colours from the photo and a tiny bit of bling as my inspiration. I love owls and was able to find these cute foam stamps (Tiger Tribe). These were pretty simple to whip up and my inspiration came from a card that I had re-pinned on Pinterest (Boy, do I LOVE that site as a source of all things inspirational and crafty!). I'm on holidays in 5 days (who's counting??) and will have lots more to share over the Summer break. Too cute Bron. 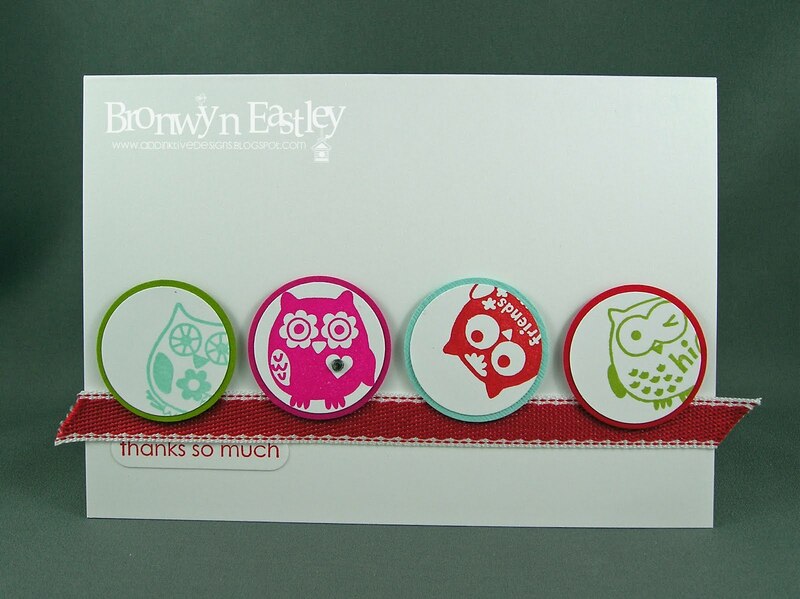 Love your cute little owls and the subtle differences you've made to each card. Oh this is the cutest little card and love the color combo this week at JAI ... also have to add that I too am so addicted to Pinterest! 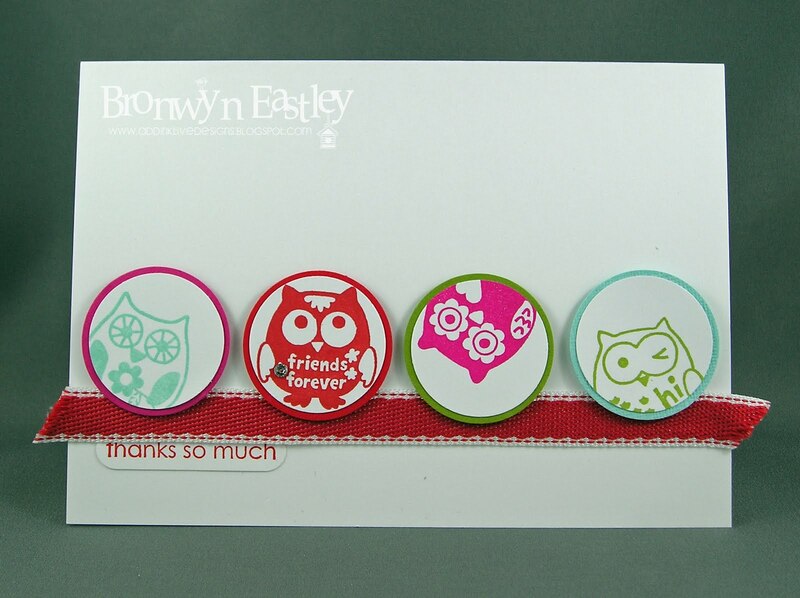 EEK - this is too cute!!! 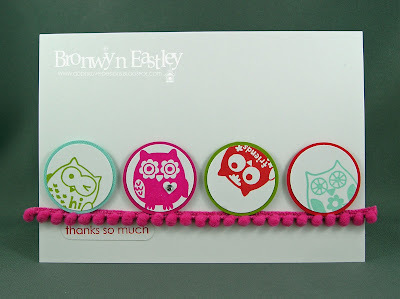 I had owls in mind with these gorgeous bright colours, too. Love this, Bron! So sweet! I can feel a CASE coming on!! 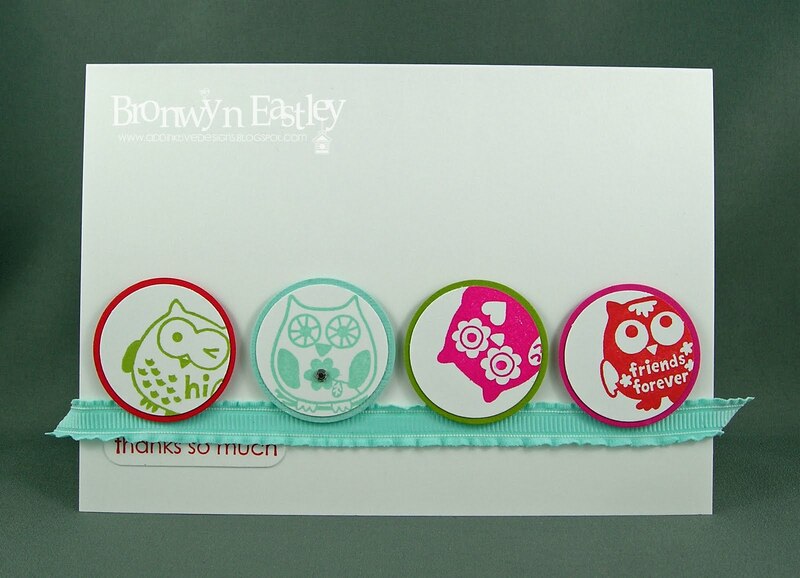 Oh and yes, Pinterest is addictive-so many great ideas! !